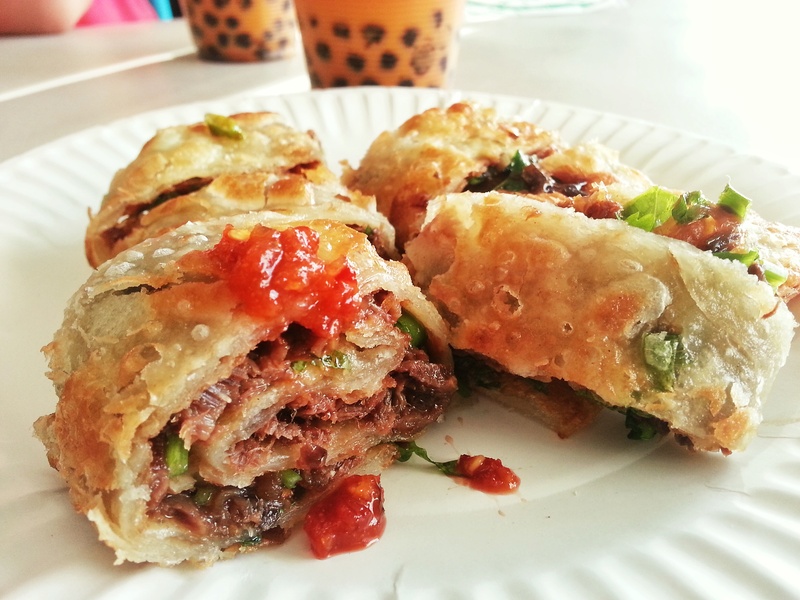 Before the Marvel and DC comic book movies there were Kung Fu and James Bond, before there were Cronuts and Korean tacos there were Chinese Beef Rolls. Take the outer wrapper of a Chimichanga but make it softer, a bit yielding to the bite. Is it still crunchy? Oh yes. Then throw in a some beef, make it salty and sweet. Snug some green onion in there. That’s right… shhhh yes it’s everything you hoped for. What’s that? The Beef Roll at Champion Foods in Fountain Valley is only $4.50? That’s like getting in your car to go pick up your date and there’s already the person of your dreams sitting next to you- ready to go anywhere you want. Don’t bother with the seat belt, you’re already in heaven. Posted in Beef, Chinese, Fountain Valley, Meat, Southern CaliforniaTagged Beef, Beef Roll, California, Chinese, Food, Fountain Valley, Fushion, Lunch, Magnolia, Southern CaliforniaBookmark the permalink.